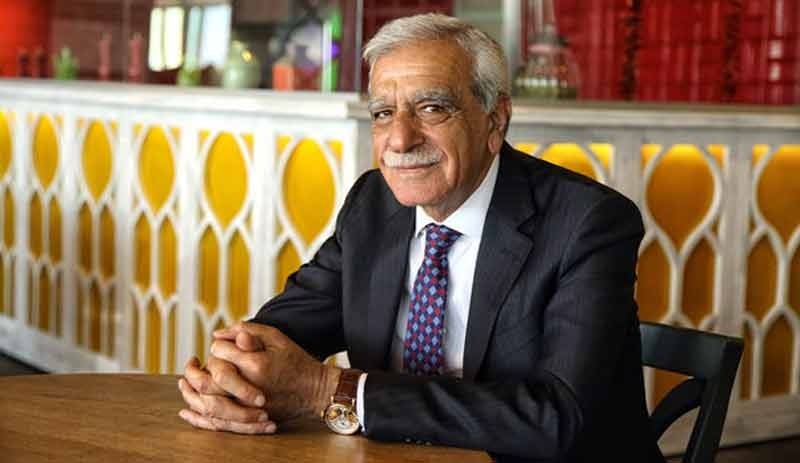 Veteran Kurdish politician Ahmet Türk is ready to throw his hat in the ring to run in next March’s local elections as the pro-minorities Peoples’ Democratic Party (HDP) mayoral candidate in Mardin, southeast Turkey, after he was dismissed from the same office in November 2016. Türk was voted in as mayor of Mardin in 2014 with 52.2 percent of the vote, ahead of the ruling Justice and Development Party (AKP)’s candidate in second place with 37.4 percent. However, he was charged with terror-related offences and stripped of his office as the AKP cracked down on pro-Kurdish local governments during a state of emergency implemented after the failed coup attempt in July 2016. The long-serving Kurdish politician was one of many local officials connected with the HDP who were replaced by government-appointees. The AKP government says this was necessary due to the politicians’ suspected links to the Kurdistan Workers’ Party (PKK), an outlawed militant group whose decades of intermittent conflict with Turkish security forces resumed when a peace process broke down in 2015. “For us this is a rematch,” Türk said of the local elections. “At a time when the people have seen their will snatched away from them, we must stand against this and with all of our strength strive to lay out the faulty policies of the ruling party,” said Türk. Ahmet Türk, Mardin Büyükşehir Belediyesi Eşbaşkanlığı için HDP’den aday adayı oldu.